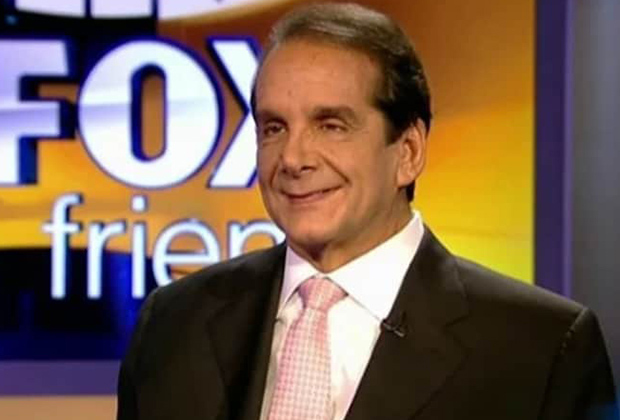 Irving Charles Krauthammer was born on March 13, 1950 and died on June 21, 2018. He was an American conservative political writer. In his first year at Harvard Medical School, Krauthammer became permanently paralyzed from the neck down after a diving board accident that severed his spinal cord. He returned to medical school, graduating to become a psychiatrist involved in the creation of the Diagnostic and Statistical Manual of Mental Disorders III. In the 1980s, Krauthammer became a columnist and political commentator. He was a weekly panelist on PBS news program Inside Washington from 1990 until 2013. Krauthammer had been a nightly panelist on Fox News Channel's Special Report. Krauthammer had been a contributing editor to The Weekly Standard, a Fox News contributor, and a nightly panelist on Fox News Channel's Special Report. Krauthammer was born on March 13, 1950, in New York City. His father was from Bolekhiv, Ukraine and his mother from Belgium. His brother, Marcel, was four years older. When he was 5, the Krauthammers moved to Montreal. Both parents were Orthodox Jews, he graduated from McGill University in Montreal, graduating in 1970 with First Class Honours in both economics and political science. In 1974, Krauthammer married his wife, Robyn Trethewey (m. 1974–2018), a lawyer and t hey had one child, Daniel. Krauthammer was Jewish, but said that he was"not religious" and "a Jewish Shinto" who engages in "ancestor worship". He was co-founder of Pro Musica Hebraica, a not-for-profit organization devoted to presenting Jewish classical music, in a concert hall setting. Though he was not pro-life, an article of his in newspapers across the nation previously called on the Supreme Court to reverse its landmark Roe v. Wade ruling allowing abortion on demand. “Legalizing abortion by judicial fiat instead of by democratic means has its price,” Krauthammer writes. “One is that the issue remains socially unsettled. People take to the streets when they have been deprived of resort to legislative action.” “The other effect is to render the very debate hopelessly muddled,” he says. “Instead of discussing what a decent society owes women and what it owes soon-to-be-born infants, and trying to balance the two by politically hammering out regulations that a broad national consensus can support, we debate the constitutional niceties of a 35-year-old appallingly crafted Supreme Court decision,” Krauthammer said at the time. The columnist said he “hope[s] for the day when Roe is overturned,” but not because he supports the aims and goals of the pro-life movement.. “Abortion is already so contaminated with legalisms, why not turn the issue into one of simple democracy? Let the people decide,” Krauthammer concluded.